Bangles are the most classic forms of adorning jewellery, a unique jewellery style which is flaunted by both men and women equally. 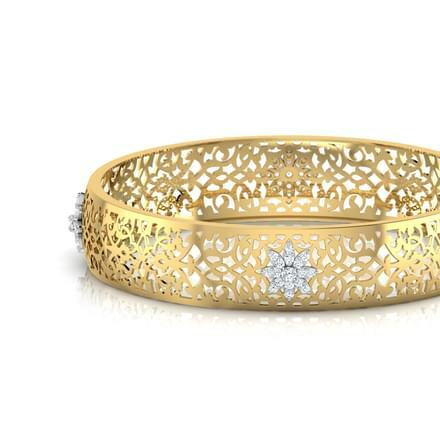 Wedding jewellery shopping is incomplete without a few Bangles designs to go with various dress styles. CaratLane offers a vast collection of latest Bangles online, with numerous models and designs of Bangles. It's Bangles selection ranges from Rs. 20,000 to Rs. 2,50,000. You can choose and buy from around 210 unique Bangles designs. 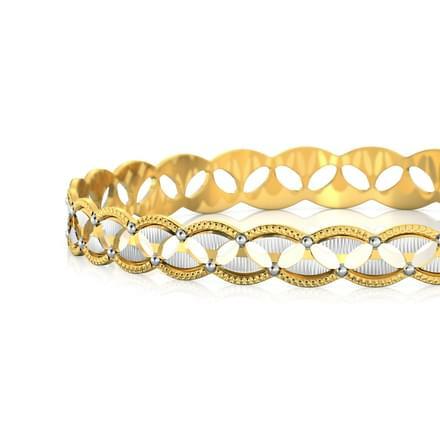 A fine bangle design perfectly completes a gold jewellery set for ladies. 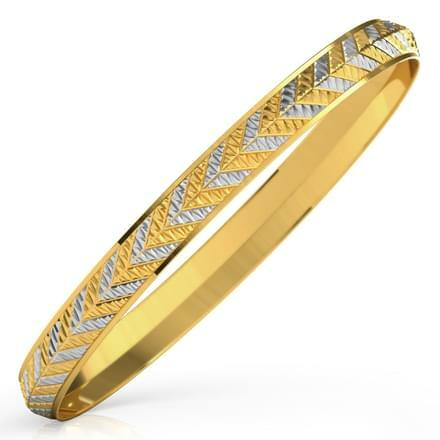 You can buy latest models of Bangles designs for both men and women available online on CaratLane. 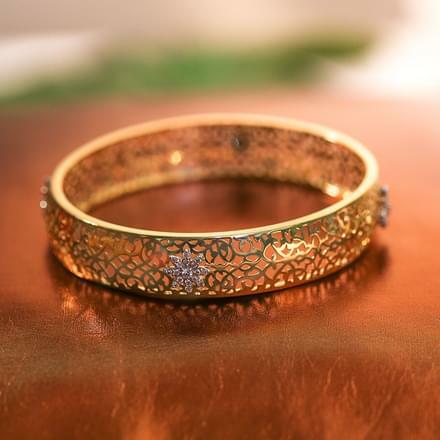 You will find the best of designs of Bangles online on this portal, with some of the most outstanding designs catering to every need from simple to designer Bangles. 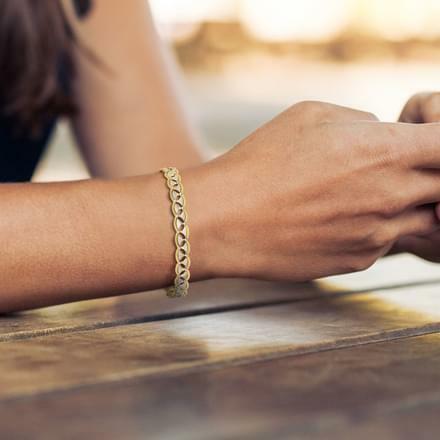 Gold Bangles are the most widely worn style of Bangles across the world as the glittering metal has always caught the attention of every jewellery lover. 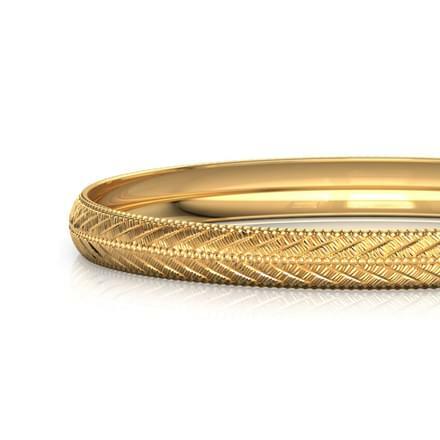 CaratLane has created a beautiful collection of gold Bangles for online shopping. 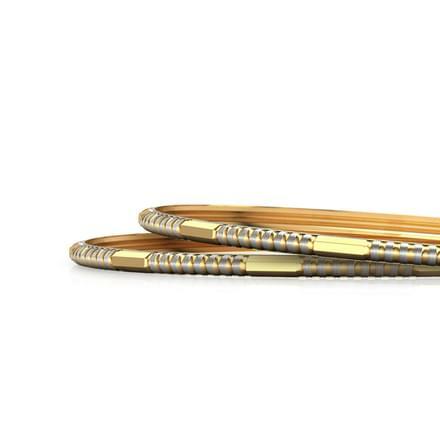 The Crossover Texture Gold Bangle and the Iha Glitter Gold Bangle, set in 22K yellow gold are interesting models of gold Bangles by CaratLane. 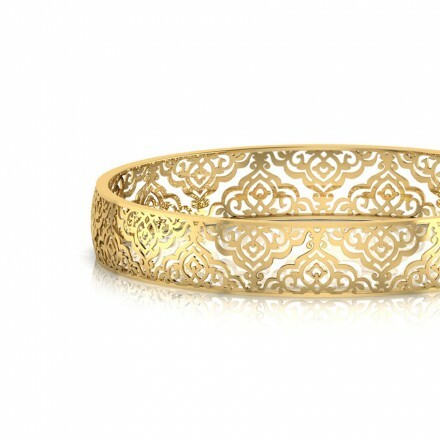 The Swirl Filigree Bangle from the Enchanted collection, set in 18K rose gold is a chic modern Bangles design for women. 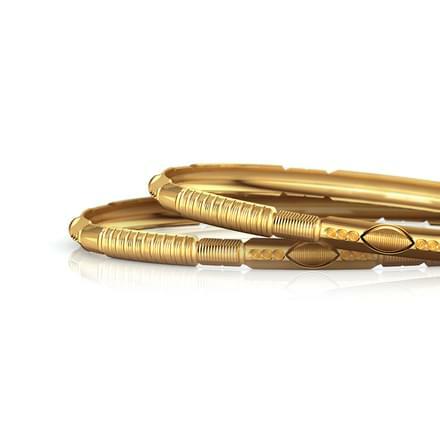 The Divit Gold Kada For Him and the Hiran Gold Kada For Him, set in 22K yellow gold are bold and masculine Bangles designs designed specifically for men. 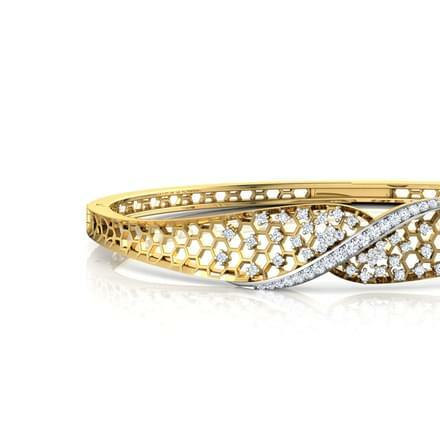 Diamonds fit perfectly into every form of jewellery and diamond Bangles are a must-have in every woman's collection. 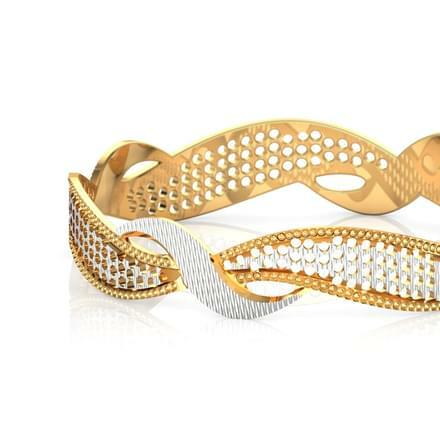 The Aduna Cutwork Bangle and the Mira Cluster Link Bangle by CaratLane, both set in 18K yellow gold with diamonds are stunning and bold diamond Bangles designs for women. 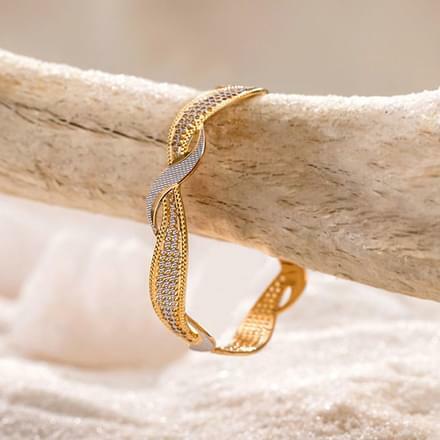 The Aerin Cutout Bangle and the Bette Alter Twisted Bangle, set in 18K yellow gold with diamonds are sleek yet beautiful diamond Bangles by CaratLane. 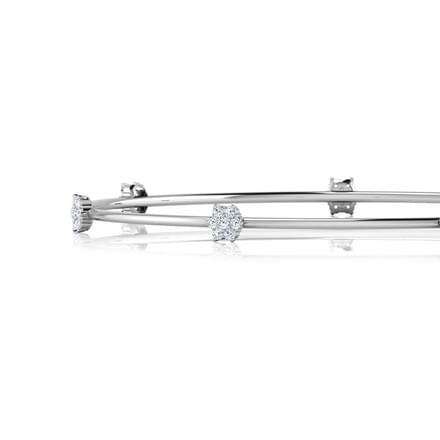 The Resplendent Diamond Bangle, set in 18 K white gold with diamonds is another shimmering pair of fine diamond jewellery for women. 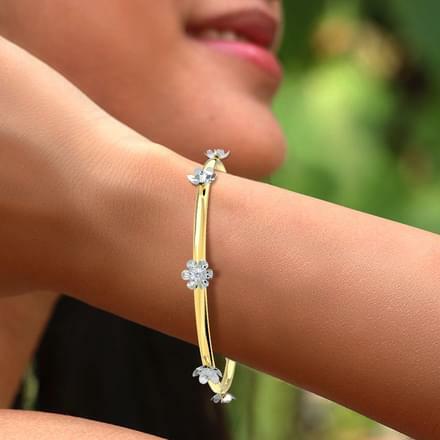 A finely crafted pair of Solitaire Bangles is a must-have for every woman. 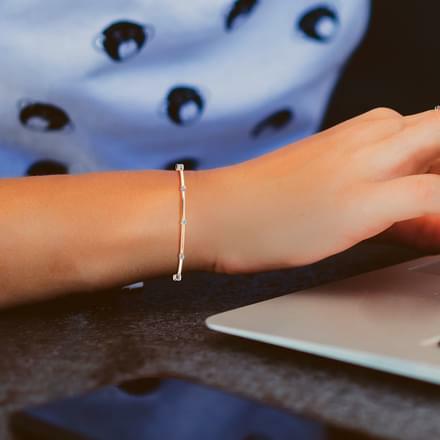 CaratLane ends this never-ending search of a perfect pair of solitaire Bangles. 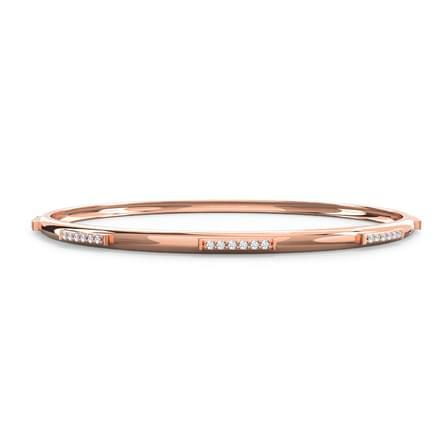 The Meira Glitz Bangle, set in diamonds is a mesmerising diamond-studded bangle which is sure to leave you in pure bliss. 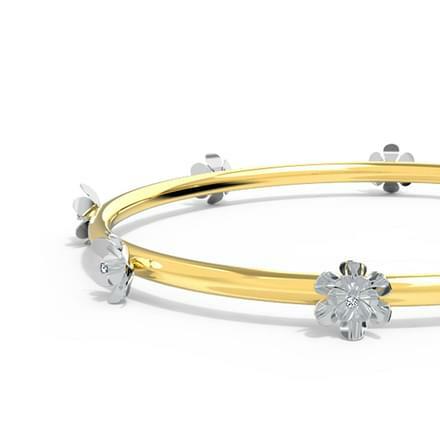 The Glitz Bangle, set in diamonds and 18K white gold is another stunning pair of solitaire Bangles designs for women. 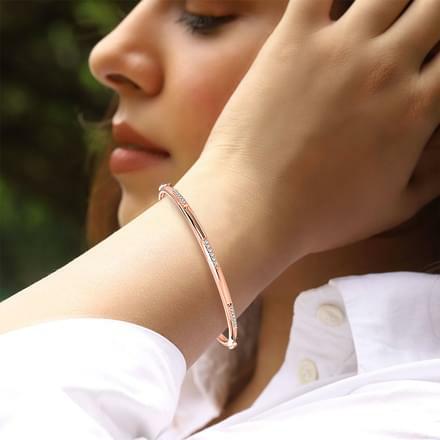 CaratLane offers a wide range of models of Bangles ranging from simple thin Bangles to broad bold Bangles for women and men of varied choices. 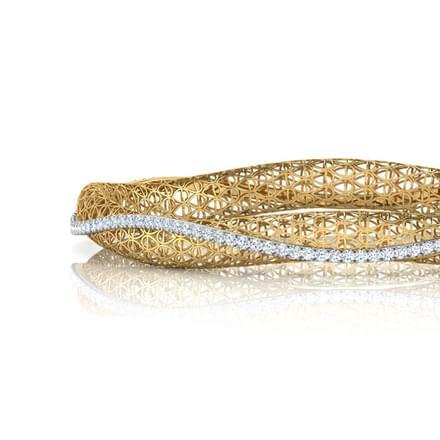 Broad Bangles are best paired with bridal wear or for special occasions as well as evening wear. 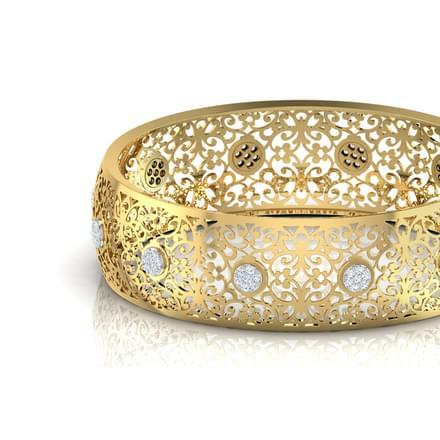 The Tia Cutwork Bangle, set in 18K yellow gold with diamonds is a beautiful example of fine craftsmanship by CaratLane. 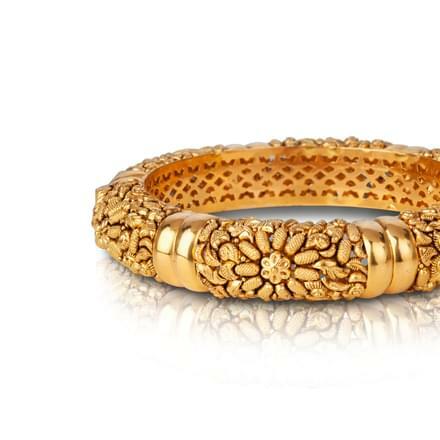 The Haiya Leafy Bangle, set in 22K yellow gold is another great pair of broad Bangles designs by CaratLane. 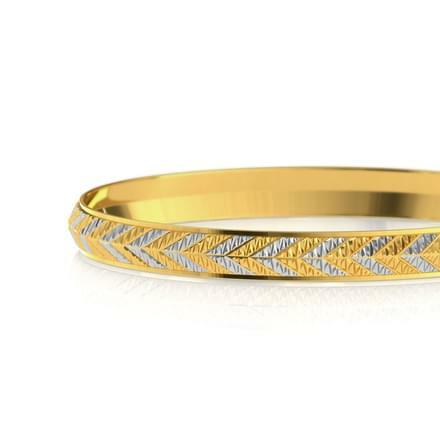 Single line Bangles are perfect to be adorned to work and is equally suitable for every day wear. The can be paired with western as well as traditional dresses. 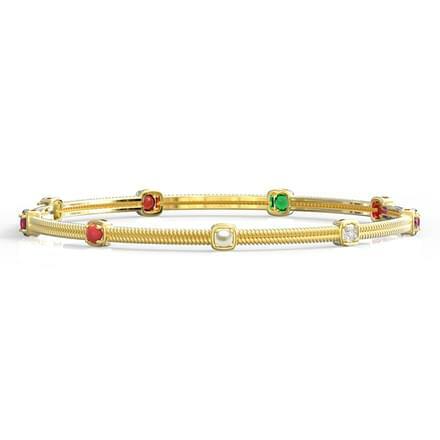 The Iridescent Gold Bangle, set in 18K yellow gold (9.12 gms) with diamonds is a stunning pair of bangle for every day wear as well as evening wear. 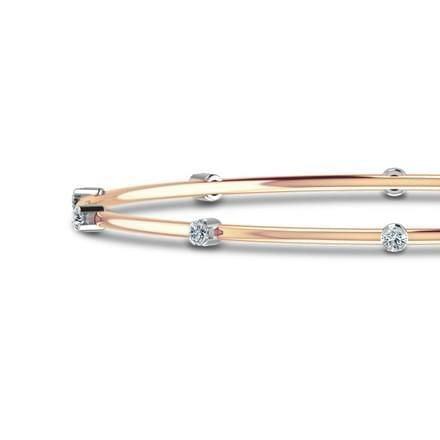 The Tranquility Bangle, set in 18K white gold with diamonds is another sleek gold bangle for women. 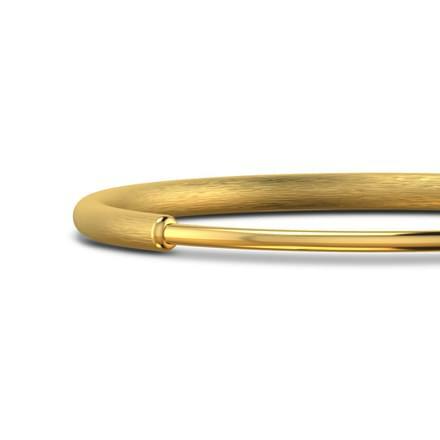 CaratLane's Gold Orb Bangle (Matte), set in 22K yellow gold is a simple yet striking thin Bangles design for women. 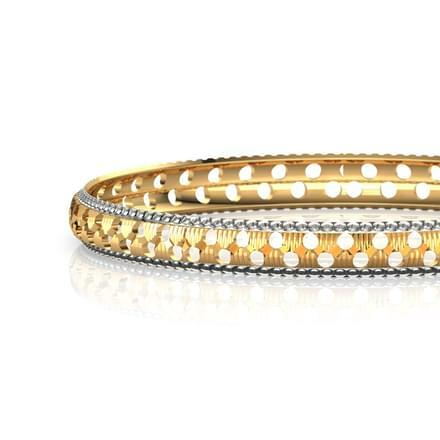 The Vera Studded Bangle, set in 18K white gold with diamonds is also a thin bangle with a delicate pattern. 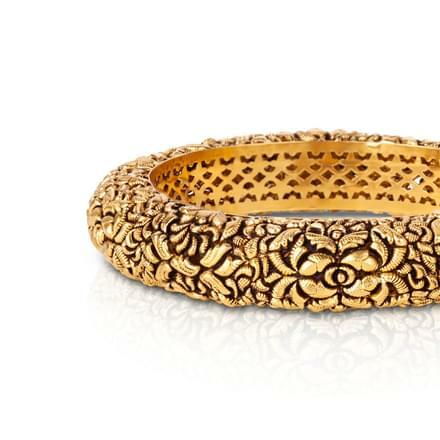 Women like to flaunt Bangles in all forms, from chic and modern designs, to classic and bold patterns. 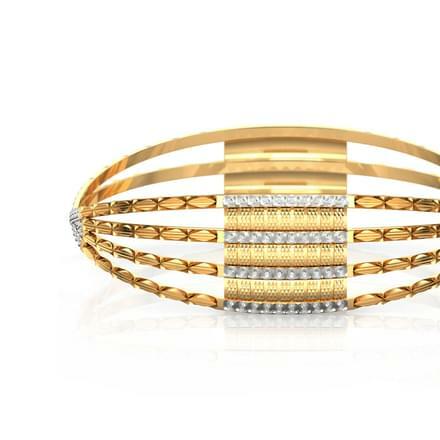 CaratLane offers some of the best designs of Bangles for women at great price as well. 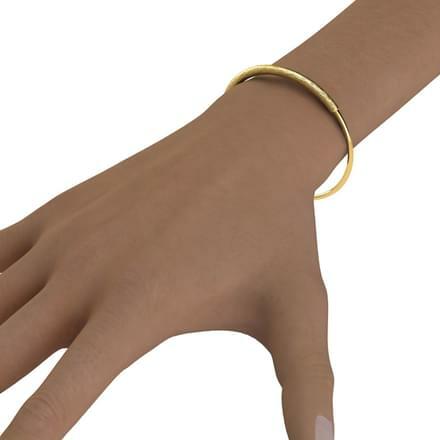 Women can easily pick for Bangles according to its weight, such as a pair of Bangles which weigh 10 grams. Men like to add style to their attire through accessories and Bangles are among the most favoured forms of jewellery by men. 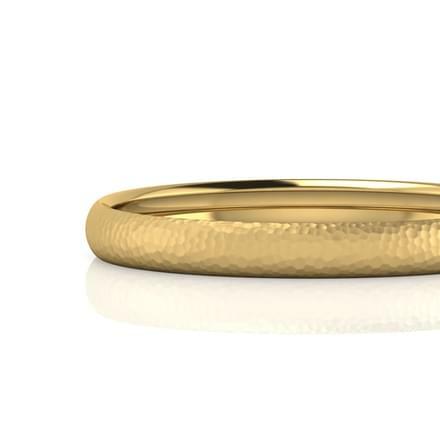 CaratLane offers some of the best Mens' Kada designs available online. 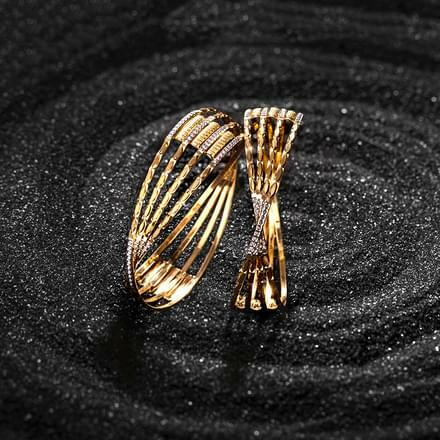 The Gagan Gold Kada for Him and the Kabir Gold Kada For Him, both set in 22K yellow gold are striking bangle designs for men.